Alison grew up surrounded by the Rocky Mountains in Denver, Colorado. In 2003 she moved to Columbus after receiving her BA in Fashion Design at Kent State University. She enjoys camping, her ever expanding VHS collection, cats, and organizing things by color. 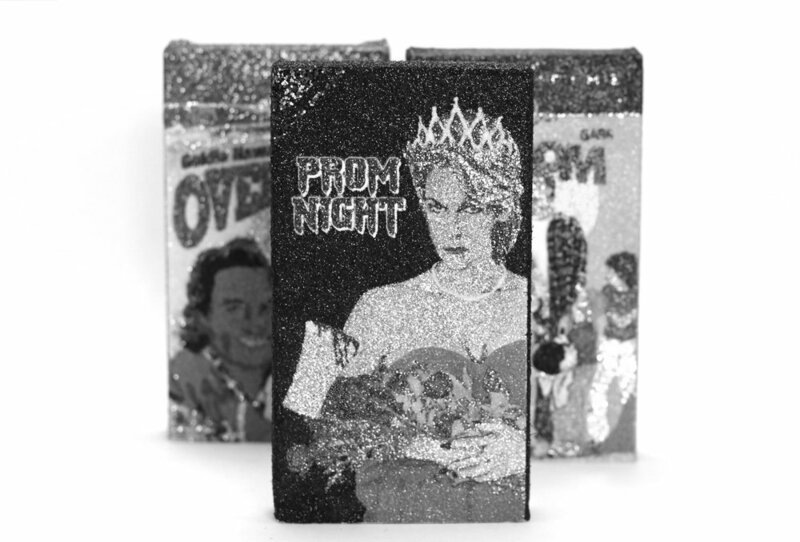 Her artwork, textured images created using glitter and sequins, are usually a reflection of these things, including and starting from her love of nostalgia that comes out in her glittered VHS covers. Alison is also 1/2 of Alison Rose, creating hand-printed fabric wallets and accessories as well as, printing and designing apparel for the line.